With Jaguar West Chester by Your Side, Your Search for Auto Parts in West Chester is a Breeze. 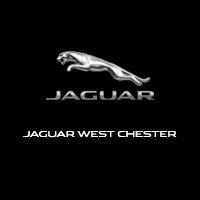 Proudly serving customers from West Chester, and the greater Philadelphia area, Jaguar West Chester knows what a hassle it can be to find the right Jaguar parts for your Jaguar F-TYPE, XF or XJ. That’s why our team aims to reduce the time you spend in search of the proper component by staffing an onsite auto parts department. Our team is well-versed in every aspect of the automotive industry, which means you can count on us to locate the exact part you need. What’s more, if we don’t have the F-PACE accessory or any other part you need in stock, we can order it for you. It’s all a part of our commitment to serving your needs above all else.